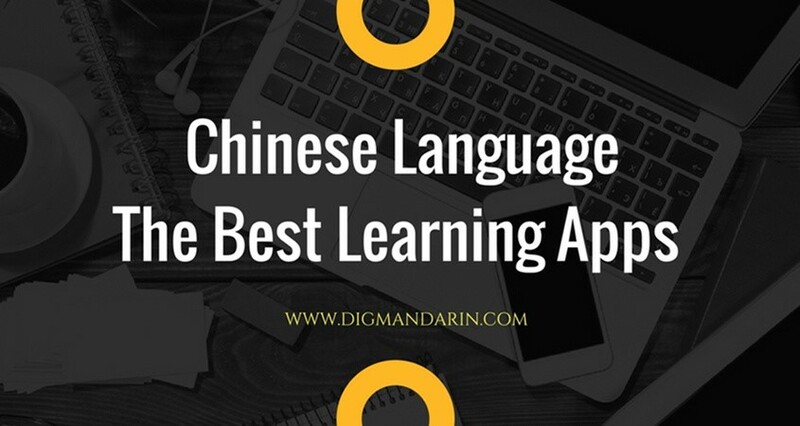 If there is an app that can help you improve your Chinese reading, listening and comprehension as effortless as possible, it’s the Du Chinese app which is available for both ios and android system; and it does an outstanding job of it. 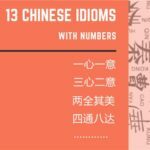 Through the app, you just feel like you are listening in on conversations that indeed happen in China, with the added benefit of seeing the words—both characters and pinyin alike—like subtitles, as if you were watching a movie. The only thing lacking from the whole movie-like experience is seeing the people on the screen. 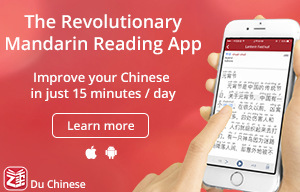 So, maybe the better comparison is that the whole learning experience is more like listening to the radio, but with the added benefit of visible Chinese characters and pinyin. The Du Chinese mobile app is designed for simplicity of navigation. Everything is labeled clearly for a student to understand what he is tapping on, and the labels are kept to a minimum so as to lessen confusion. “Lessons” are the actual conversations or articles where one can listen to and read what is taking place. “Words” is where one can save specific vocabulary that one wishes to go back to and review for future study. 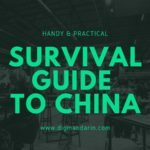 The lessons are marked by difficulty ranging from newbie to master, and the most popular ones are listed on the main page. I found they constantly add new lessons at a pace of 6 lessons per week. 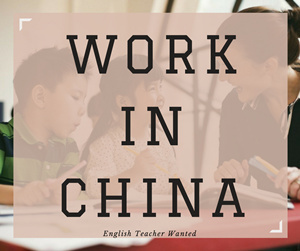 The lesson topics are interesting covering daily conversations, Chinese culture, current events，the latest trends, funny stories, and life in China, and etc. 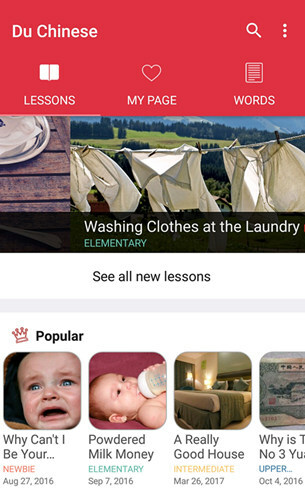 Once you tap a lesson, you are taken to a page which shows the lesson text. 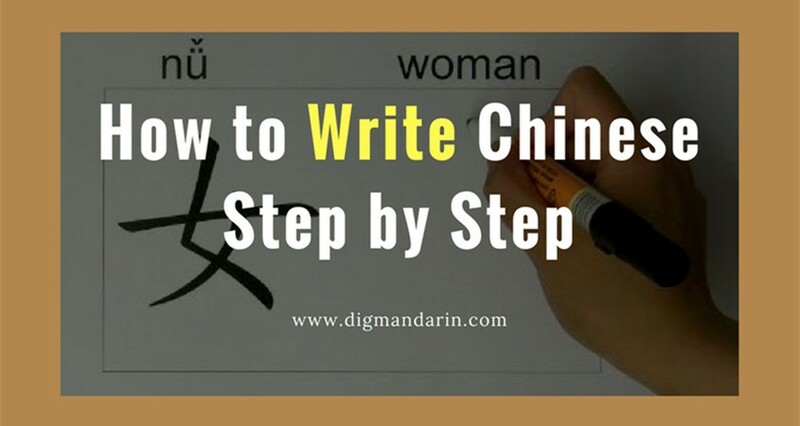 The Chinese characters one sees can be in either Simplified or Traditional form (changeable through the Settings) with the pinyin guide on top of the character. 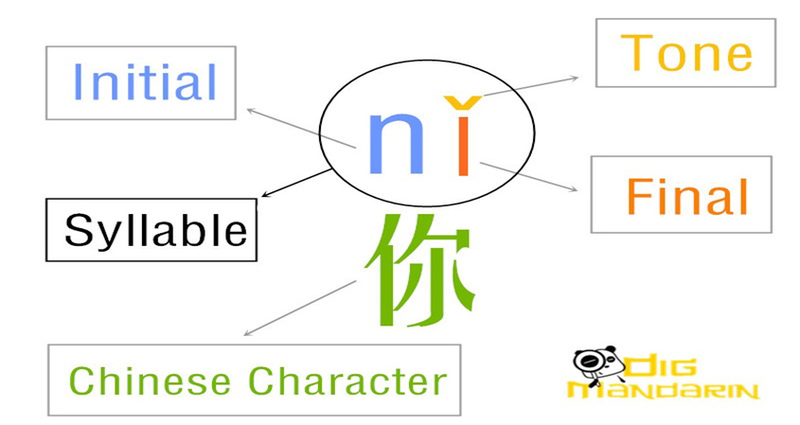 It has the option to turn off the pinyin so that you can learn to read the characters without them. Additionally, the words will be underlined with different colors based on their HSK level. Clicking the “Play” button on the bottom starts the audio of the article, which comes with a voice recorded by a native speaker. The text will be highlighted during playback so that you can easily follow along, not just with your ears, but also with your eyes. At the same time, an English translation of what is being said will appear at the top of the screen. You can pause the audio at any time to suit your learning speed, and even tap on a completed sentence if you wish to hear it again. 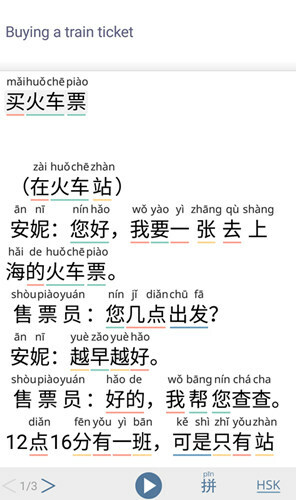 If you get stuck on a word, a simple tap gives you the word’s meaning and pinyin in the context of that sentence. It also allows you saving the words and review them later with their flashcards, pretty cool! 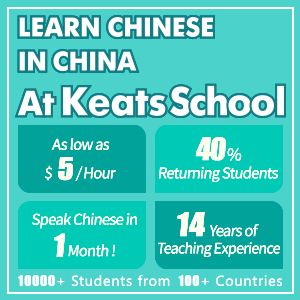 Just as when you follow a lesson text and see the color-coordinated HSK underlined Chinese characters, “Lessons” are also labeled with the same colors. 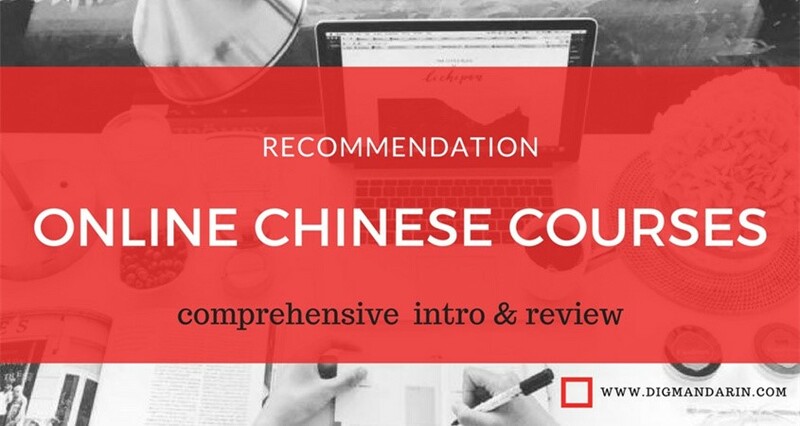 Thus, you can choose “Lessons” suited to your current mastery of Chinese, that is, whether your level is that of “Newbie”, “Elementary”, “Intermediate”, “Upper Intermediate”, “Advanced”, or “Master”. Of course, each increasing level makes the conversation and vocabulary more and more challenging. You need only tap on the desired level, and you will be taken to the “Lessons” that are categorized under that level. Another easy way to search for “Lessons” is via the “Tags” listed at the very bottom of the main page. 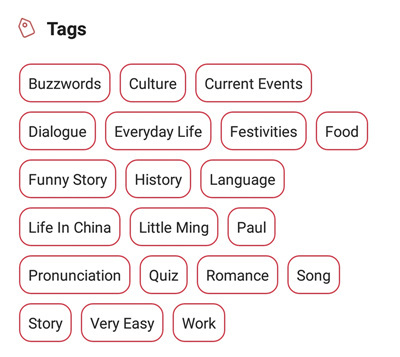 Here, you only need to tap the desired “Tag” and you will be taken to the “Lessons” that have been so tagged. 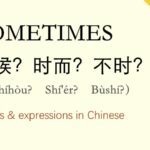 Du Chinese is an excellent mobile app for learning Chinese. 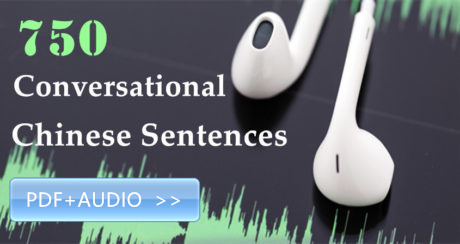 The app developers believe that, through this immersive method, the learner will absorb the vocabulary, sentence construction, and general way of speaking the language. What you may not get from the app is the formal understanding and reasons behind the grammar of the language. This is one advantage of other learning methods, such as via schools, books, or one-on-one with a human teacher. 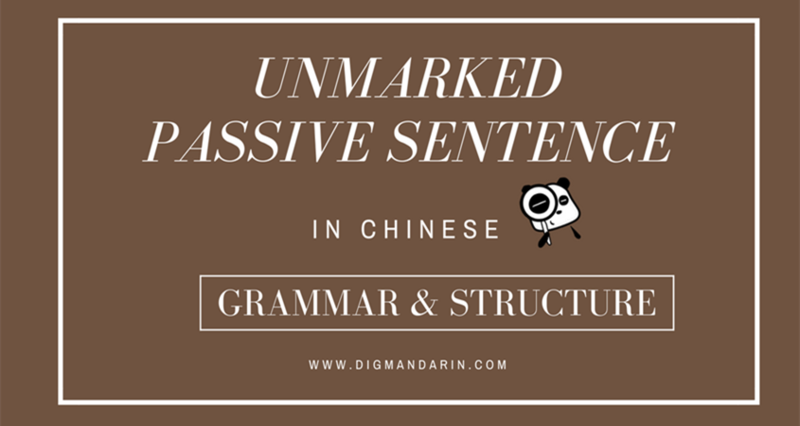 Explanations of the reasons behind why a sentence is constructed the way it is are easier to find using these other methods. But make no mistake, the Du Chinese app is worth it. 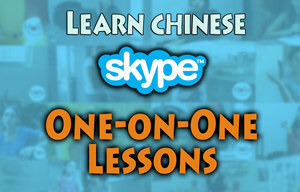 If one can master all the “Lessons”, one is guaranteed to have advanced one`s Chinese language ability by a huge leap. You can find the app in the App Store / Google Play or visit their website. Kenneth Yu is a digital marketing specialist, writer, and editor from the Philippines. When he's not working, he's practicing his Mandarin, and particularly enjoys learning through videos such as Chinese films.